Steve Schliesman, who has lead the office since last July, plans to leave government on April 15. 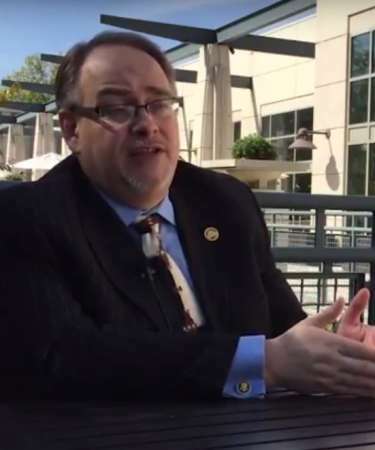 In an April 12 email to staff obtained by MeriTalk, acting VA Chief Information Officer Rob C. Thomas II, called Short “the ideal candidate” to step back into the acting deputy director role that he held for a brief time in 2015. Established by Congress in 2011, VA’s Interagency Program Office is responsible for leading VA’s efforts to ensure health record interoperability with the Pentagon. The two agencies have been criticized in the past for their reluctance to cooperate on a common electronic health record system. The Pentagon awarded a $9 billion contract in 2015 for the MHS Genesis system developed by Cerner, Leidos, and Accenture. VA, on the other hand, has been wrestling with developing a strategy for moving beyond VistA–the Veterans Health Information Systems and Technology Architecture. However, the two agencies have made significant progress on sharing veterans data during the past several years. Prior to leading the DOD/VA Interagency Program Office, Schliesman served as VA’s assistant deputy CIO for project management and product development, appointed to that position in 2014 by former VA CIO Stephen Warren. A veteran, Schliesman brought years of experience to VA from having managed some of the largest IT programs in the U.S. Army.